October 2015 Newsletter: Fall Hotel Getaway Giveaway Winners Announced! As many of you know, we sent out a survey two weeks ago to our ActiveTravels members. We asked you to take a few minutes to evaluate your experience collaborating and working with us to design and plan your vacations. We are thrilled to say that we received a tidal wave of responses and we're so pleased that many of you took the time to share with us the positives and also the negatives. Thankfully, the positives far outweighed the negatives! As in any relationship, clear communication is key and with an open dialogue we can continue to understand what you hope for and expect from us. Our goals are always great service and wonderful, memorable trips for all our valued members, many of whom we can now call friends. We are excited to announce the winner for our Fall Hotel Getaway Giveaway in our Quick Escapes section below, appropriately about Manchester, Vermont. So, read on to discover the lucky winner! We also divulge our favorite ski locales in Canada, both due to excellent terrain and favorable exchange rates; the newest hotels about to open in warm-weather destinations; a handy GPS/audio tour for scenic drives through our national parks; and a preview of Steve's upcoming trip to Colorado with Dan Austin, the owner of Austin Adventures. The favorable exchange rate for the American dollar continues to ensure that Canada is the place to be this winter. If you haven't looked lately, $1 US will now fetch $1.33 in Canada, an 11-year low for the Canadian loonie. So if you've ever wanted to ski Whistler, Tremblant, or the Canadian Rockies, now would be the time. There are numerous reasons why Whistler is consistently rated the number one ski area in North America by Skiing magazine. First and foremost, Whistler and Blackcomb Mountains are huge. With over 5,000 vertical feet of skiing and a gigantic number of skiable chutes, bowls, and tree-lined cruisers, you are just beginning to know your way around these mountains after a week's stay. Add a mind-boggling panorama from the summit and a modern base village with excellent dining choices and you get the full picture. Don't expect a podunk town in the middle of the boonies. Sure, there's bear hibernating in those backwoods. At the base of Whistler, however, pedestrian plazas are connected by cobblestone walkways with low-lying boutique shops and restaurants that don't obscure the view of the twin peaks. Top level hoteliers like the Fairmont and Four Seasons have found their way to the slippery slopes and will do almost anything to make sure your stay is a comfortable one. 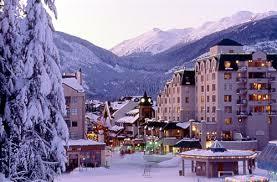 Whistler is also home to one of the longest ski and snowboarding seasons in North America. The resort opens in mid-November and closes in mid-June. If the kids can't get enough excitement, take them to a zipline that cruises across Fitzsimmons Creek from Whistler to Blackcomb. Offered by Ziptrek Ecotours, it's the longest zipline in North America and it's open year round. Due to its remote locale and the fact that Whistler overshadows all the other exceptional mountains in BC, you might not have heard of Red. But take my word for it, you will. A quad chairlift started running last winter off Grey Mountain, adding 22 new runs and a whopping 1,000 acres of skiing placing Red at pretty much the same scale as Breckenridge and Jackson Hole. 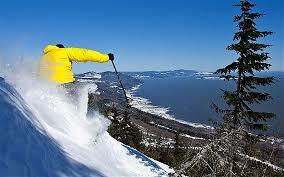 But size doesn't necessarily matter when it comes to skiing this beaut. Close to 7,000 feet high and rarely another skier in view, you're certain you were planted on Red by helicopter or cat. You can ski the entire mountain, front and back, with exceptional intermediate and advanced terrain off the Motherlode Chair. Red's claim to fame, however, is all the backcountry trails that weave through the trees on neighboring Mount Roberts and Grey. And those 360-degree views from the top. Sweet! It was 1892 when a young employee for the Canadian Pacific Railroad came upon a gem of a lake in the Canadian Rockies that sat beneath a towering glacier. He would write in his journal: "As God is my judge, I never in all my explorations saw such a matchless scene." 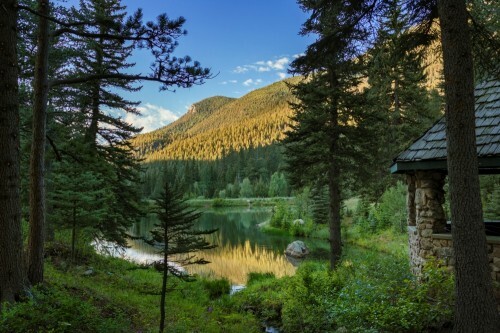 Taking his recommendation, Canadian Pacific would build a one-story log cabin that would serve as a hotel for guests who savored the outdoors. By 1912, word spread about this majestic spot in the mountains, enticing more than 50,000 people to reach the shores of Lake Louise. It was time for Canadian Pacific to build a grand chateau with blue roofs and turrets, and furnished with the finest craftsmanship of the Edwardian era; a place that royalty, heads of state, and celebrities could hobnob in comfort. 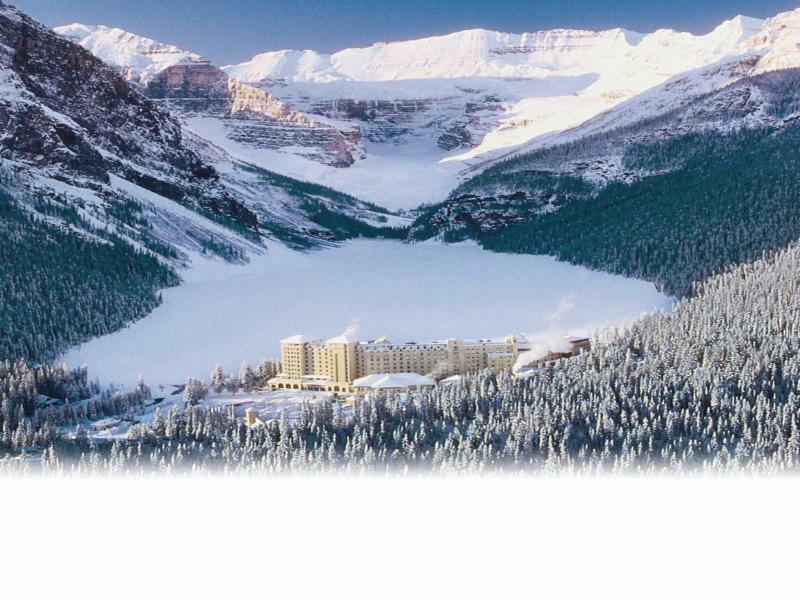 Today, the 513-room Chateau Lake Louise is run by Fairmont Hotels and is still considered the premiere address in the Canadian Rockies. In winter, the chateau stays open so you can take a horse-drawn sleigh ride over the lake, cross-country ski in shaded forest below the peaks, or downhill ski at one of Canada's largest ski areas at Lake Louise. Then return to the grand lobby where the fireplace is always roaring to warm you up. 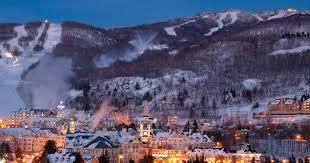 Not nearly as large as Whistler, Tremblant makes up for its size with a good dose of French ambiance. Grab crepes with chocolate, seafood, or their signature sucre à la crème sauce at Creperie Catherine, and fondue at La Savoie and you'll feel like you just arrived at Val-d'Isère. Yet, once you snack on maple taffy on snow or a fried dough pastry topped with cinnamon sugar called a beaver tail, you realize you're in Canada. The trick to skiing this mountain is to follow the sun, from the north side in early hours to the south side in the afternoon. Like Whistler, you can purchase a First Tracks ticket, have breakfast, and a couple warm-up runs on a cruiser like Supérieur before the crowds show up. Some of their newest trails, like Les Bouleaux and Bon Vieux Temps in the Versant Soleil section of the resort offer good afternoon runs. Only 2,645 feet high, you would think Le Massif would be a pretty mellow mountain, and you'd be wrong. With the largest vertical drop east of the Canadian Rockies, more than half of the 53 trails are black diamond or expert. That still leaves enough trails for beginners and intermediates to savor the expansive view of the St. Lawrence River that stands in front of you. Le Massif also offers guests the rare chance to go rodeling or luging down a 7.5-kilometer trail on the northern face of the mountain. The exhilarating two-hour trip starts with a snowcat ride to the top of the trail, where you're handed a small sled. Then you cruise downhill, curving around banks, and sweeping over hills, all with that same glorious view of the St. Lawrence. You use your feet to brake and turn, stopping to walk over bridges and to take a break for a drink at a warming hut. The actual time on my sled was probably around 45 minutes, which went far too quickly. 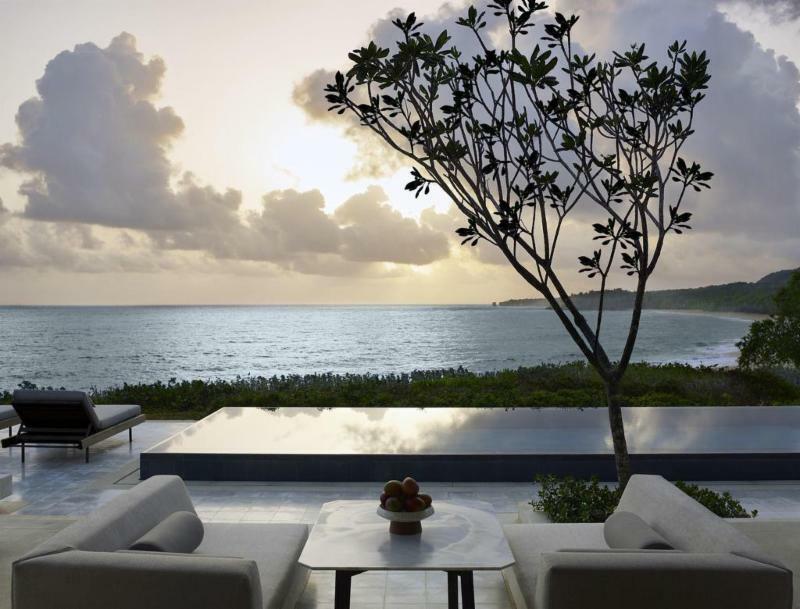 Leading the list is the new Aman resort, Amanera, in the Dominican Republic. Overlooking the north coast's Playa Grande Beach, the 25 casitas are surrounded by 2,000 acres of virtually untouched jungle and a nearby mountain range. It will also be the first Aman Resort to feature a golf course, this one designed by Robert Trent Jones. This stunning golf course will meander along 60 foot cliffs on the Atlantic coast. 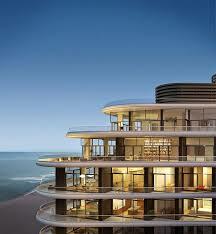 Another hotel opening creating a lot of buzz is Faena Miami Beach on a six-block span across mid-Miami Beach. The 169-room hotel features are quite amazing, from its 100,000 square foot Beach Club, and its Faena floor butlers, to two oceanfront restaurants, a private screening room and a two-level theater with live theatrical performances. Its spa is not to be believed offering ancient South American healing techniques and a two story high Turkish hammam (bathhouse). If you book with us, we can make sure you receive the Virtuoso amenities of room upgrade upon arrival, subject to availability, daily full breakfast for 2 per room, and a $100 resort or hotel credit. If you book their promotional package, "Faena Escape," with us, you can actually receive your 3rd night complimentary! There are some black out dates, so call us for details. This Faena Escape promotion must be booked by 10/29. Another destination worth revisiting is Los Cabos, Mexico. A renovation frenzy ensued after the destruction caused by last year's Hurricane Odile. 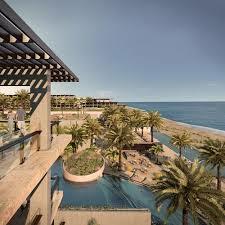 JW Marriott is opening a new resort, JW Marriott Los Cabos Beach Resort and Spa. It's a quick 20-minute drive from the airport to their outdoor pools and gorgeous Pacific coastline. Several restaurants and bars are onsite as well as the customary spa and fitness facilities. Kids and teens clubs are available to entertain those kiddos when you'd rather lay on the beach. 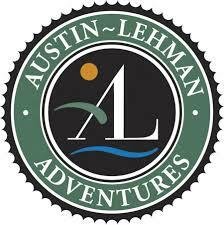 During his 40-plus years in the travel industry, Dan Austin has reaped accolades for his company, Austin Adventures, like "World's Best Tour Operator for Families" by Travel & Leisure. We can vouch firsthand for Dan's exceptional product, having taken the kids to the Canadian Rockies on one of his guided multi-sport adventures. Each day, we sampled a different activity including whitewater rafting, hiking, biking, and rock climbing. 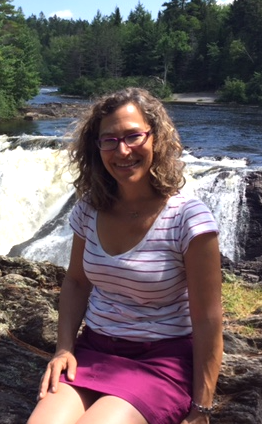 It was one of our most memorable trips as a family and it led to this story in The Boston Globe. Yes, that's our son, Jake, falling off the raft in the photo! This month, I have the good fortune to cross paths with Dan again as he designs a new family adventure in Colorado with his dynamic daughter Kasey, recently voted "Outside Magazine's Top Family Guide." We'll visit one of the most stunning rock formations in the West, Garden of the Gods, then spend the night at Cloud Camp, sitting at a cool 9,300 feet overlooking the entirety of Colorado Springs. The next day we hike 5.5 mile through the aspen and pine-covered hills of Pike National Forest to Emerald Valley Ranch, where we saddle up and go for a ride. We wake up the next morning, go fly-fishing and head to Seven Falls, a majestic series of waterfalls flowing through a 1,400-foot-wall box canyon, where we harness up and go on a zip line adventure. Last but certainly not least, we arrive at one of the classic resorts in Colorado, The Broadmoor. I'm hoping to persuade Dan and Kasey to design a family trip exclusively for ActiveTravels members, preferably in his home state of Montana to visit Glacier National Park and a ranch outside of Missoula. So be on the lookout in early January, when we debut our first batch of custom-designed trips! Who doesn't love a good road trip? Open highway, big sky, the wind at your back and solitude as you go from here to there without a care in the world. NOT! For most of us, the road trip means traffic, bad air, the pains of a stiff back and limbs, and navigating between the screams and complaints of kids in the back seat! We may have a good solution for you to while away those hours on the road. 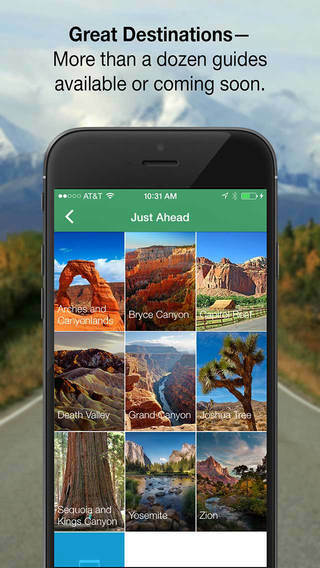 Just Ahead is a new app made for the iPhone or Android. It is not only a GPS but it's also a guided audio tour that informs and entertains you along the way. It knows where you are according to your GPS coordinates and a narrator tells you stories of what you are seeing from its history and geology of the region to the flora and fauna you may witness. This app even works without a wireless signal, just download the guide before you go. You can also use their stash of regional maps whether or not you have wifi access, so you never get lost. Here are just some of the places they cover: Yosemite, Yellowstone, Grand Canyon, Zion, Bryce, Joshua Tree, Death Valley, Sequoia, Arches and Canyonlands, LA to St. George Utah via Las Vegas and Hoover Dam and many, many more! 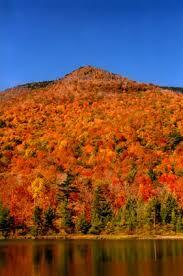 They are also coming soon to the East coast, covering the Great Smoky Mountains and the Blue Ridge Parkway. Go on to their website and sign up for a free trial. To purchase, each app is $7.99-9.99, less than a guide book and not nearly as bulky! All of that leaf peeping can be tiresome, so take a break in Manchester, Vermont. Active pursuits include hiking the slopes of Mt. Equinox for stunning views and a climb to see Lye Brook Falls, or a day of falconry or fly fishing school. Antique hounds will want to head to Depot 62 to check out their large selection of tables, lamps, rugs, and sofas. The café here is popular with locals for wild mushroom pizzas and fresh salads. A more upscale dining option is The Silver Fork for eclectic international food in a small six table, 5 bar stool restaurant. Make reservations! As we mentioned to members in our latest giveaway, a new lodging, The Taconic Hotel , is about to make its debut. The Taconic is the first Kimpton hotel in Vermont and the first upscale boutique hotel in Manchester. The hotel will have 87 rooms when it's finally unveiled in November with views of the Taconic and Green Mountain ranges, three standalone cottages, an indoor/outdoor restaurant, and a large wraparound porch. 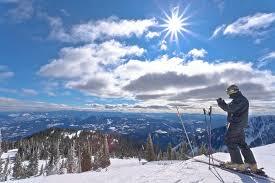 It's a great option for folks who want to ski at nearby Stratton or Bromley, a 30-minute drive. Now, here's the lucky winners of our Fall Hotel Getaway Giveaway...Debbie and Michael Knight! Congratulations! And, thanks again to all our members who participated in our survey. Your comments are extremely helpful!